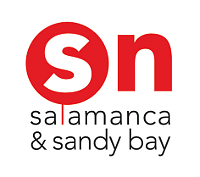 Our family has been operating the Salamanca Newsagency for some years now and have recently re-opened the Sandy Bay Newsagency. We are committed to meeting our customers’ needs in a fast and friendly manner. Please call in and see us or order your office supplies online. Sandy Bay Newsagency & Salamanca Newsagency are your suppliers of office and stationery products catering for all your work, home and school needs. We have a wide range of stationery and general office products at the lowest prices everyday available in store or here online. Here on our website you will also find lots of information about all we have to offer at Sandy Bay Newsagency & Salamanca Newsagency including: Stationery And Office Supplies; Magazines; Greeting Cards; Giftware & Kimmi Junior Range; Darrell Lea Confectionery; Phone Cards & Recharge; Inkjet & Laser Cartridges; Printing, Binding, Photocopying & Laminating Services; Books; and Artist Supplies. Play all your favourite Tatts games and Golden Casket Instant Scratch-Its Tickets at Sandy Bay Newsagency & Salamanca Newsagency. Call in and pick up your lucky ticket for your favourite Tatts games - TattsLotto, Powerball, Oz Lotto, Monday & Wednesday Lotto, Super 66 and Golden Casket Instant Scratch-Its Tickets.